Required by many venues, Absolute DJs Ltd has a current PLI policy with AMP DJ in the amount of £10 million. Also required by many venues, Absolute DJs Ltd has supplied satisfactory evidence of holding current PAT inspections of their equipment dated within the last 12 months. A Method Statement outlining Absolute DJs Ltd&apos;s Health & Safety procedure for setting up disco equipment has been provided. 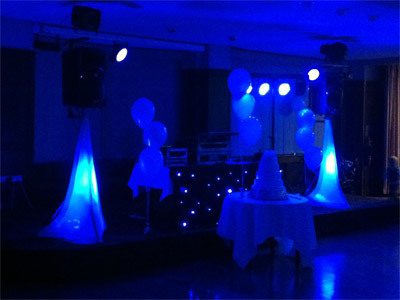 Absolute DJs Ltd has provided Risk Assessments undertaken at events sourced via needadisco.com, indicating that they can undertake these competently. 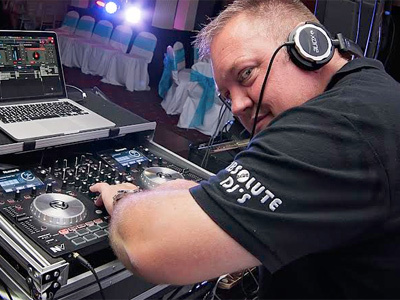 Why do people choose to book Absolute DJs Ltd? Called us within 10 minutes of sending request. Overall seemed best for us and was very professional. "Thank you for your short but great feedback "
"The lighting was excellent and we provided the extensive playlist for the party which the DJ, John Bamber, played through. We were very satisfied with this and the party was dancing from early until late so this worked perfectly. However what we had not been aware of before the night was that we were not permitted to use the microphone. Some guests wanted to make a speech and one guest (only) to sing. To be clear we absolutely did not want karaoke and had one request for a guest (a professional singer) to sing one song to the birthday hosts. This was declined most unreasonably despite it being a request from the event organisers. The evening took a turn when the DJ astonishingly grabbed a female guest by the arm and he tuned down the music, threatening to leave. Thankfully the host managed to diffuse the matter with the DJ and the evening carried on but clearly this behaviour was most unusual and peculiar. Thankfully because the hosts and guests were discerning we were able to rise above the matter and carry on but with this kind of aggressive and unreasonable behaviour it could have been a very different matter. Such an absolute shame that such a successful event was overshadowed in this way and regrettably means we cannot recommend John Bamber. " "We was made aware of the situation in question by John on the night, His account of things was that a couple of guests took it on themselves to play around with his gear to which he responded, Our equipment is very expensive and should not be tampered with by anyone especially when alcohol is involved, we as a company have not been made aware of this by our client, but would of fully investigated this incident." "Sound performance from the DJ. " 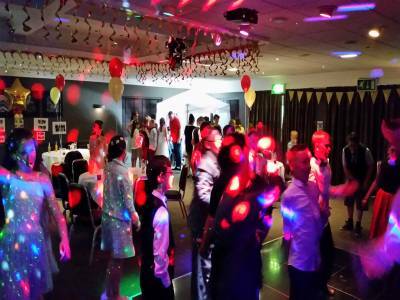 "Thank you for your feedback it is much appreciated from all the Absolute Team"
"Our DJ for the night was John Bamber, John was absolutely brilliant he interacted well with the party and played almost all the songs off our playlist. 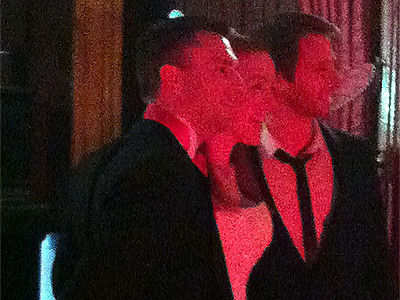 I would highly recommend John or absolute djs for any of your parties." "Thank yu for your great feedback and we will pass this onto John "
"Thought my dj was very professional, used the playlist i provided, choosing the songs which would go down best as well as taking requests from the guests and providing some lighting equiptment. as well as this before the event i was contacted with any information i needed to know and was asked if there was a type of music or a certain playlist i wanted playing. Would definatly recommend"
"Thank you for your great feedback and i will pass this onto James asap"
"Absolutely fantastic..couldn't have asked for a better DJ..Fergel you were brilliant and made my party..loads of feedback from guests asking for your number..thank you so much"
"Thank you for your great feedback, should you wish for Fergal again just ask us and we will allocate him for you"
"This was a 21St birthday party for a guy. Playing frozen, one direction and a lot of slow depressing music. Some of the guests left early because they were bored." "I have looked into your complaint and have just spoken to the DJ in question, his response was that he was asked previously if he will take requests on the night to which the songs in question were requested from some of the guests, as a company we always accommodate your music lists if given and we always ask if there are any songs you wish not to be played if requested, as he was unaware that some of the songs requested by the guests would upset people then he would not of played them?" "I do organise events on a regular basis for different sports clubs but it was a long time since I had to book a DJ. Absolute DJs took care of everything I needed them to, they contacted me the week before as promised, they played appropriate music for our guests and set up / packed away promptly and without fuss. I would recommend both Paul and Absolute DJs to anyone asking me for a recommendation"
"Thank you for your great feedback and I will pass this into Paul." "Very good company to deal with. I booked this company at short notice and they provided an excellent service"
"It was a pleasure to be an integral part of making your event a success"
"I have received a lot of bad comments about the DJ from family members. I understand he got a little stroppy when people were making requests. The music was not what I would have hoped it would be and normally my family would dance but didn;t on this occasion unfortunately." 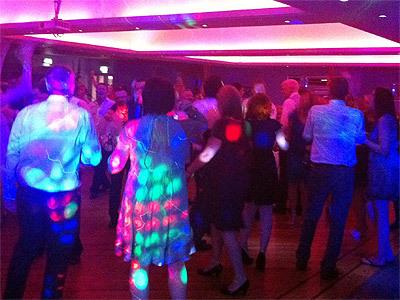 Absolute DJs Ltd also offers a range of additional party services not directly linked to musical entertainment. If you are contacting Absolute DJs Ltd about an event, it's always a good idea to include the DATE, LOCATION, EVENT TYPE, AGE GROUP and TIMINGS to speed things up!